The burden and expense of maintaining your own servers is over. Every business owner knows one of the most lucrative—and elusive—resources is time. Too often, businesses spend their time fighting server glitches, trying to get system email up and running again, or desperately searching for lost files from your last crash. No more. Imagine being able to let go of this important but resource-consuming part of your business. You’d have the time to focus on increasing your bottom line while lowering expenses. With TUSCOM’s Hosted Server, Hosted Exchange, and Hosted Backup, TUSCOM can make that dream a reality. Servers, server software, and regular updates and maintenance can be a drain on a business’ resources and patience. Instead, consider a private cloud solution from us. Our Hosted Server solution takes all the headaches and hassle off your shoulders so you can devote your time on your business. There’s no more server equipment or Microsoft server licensing to purchase, maintain or update. Hardware obsolescence is a thing of the past. The solution can dynamically shrink or grow based on the needs of your business. The solution is entirely provided by and managed by TUSCOM, so no third party is involved. You can reduce capital expenses and take advantage of new technology without new costs. Our Private Cloud and Private Hybrid Cloud offerings mean a whole new level of capability. Single site, multi-site, in town or all over the country, the technology is there for you. Utility computing means you can scale up or scale down and all the complexity of right-sizing becomes a non-issue. Existing investments are not wasted. Moving to TUSCOM Hosted Servers is easy. There’s no more need to maintain your own servers. Contact us to learn more today. In any business, communications is key. With Hosted Exchange, you get shared calendars, contacts and distribution lists, allowing you to collaborate easily as well as see projects across any configuration of time you choose. Plus, changes made are virtually instant for everyone on the system. Email is managed end to end by TUSCOM. You will have a domain name with a Secure Socket Layer Certificate for sending email. This provides secure communications on the internet for your email. Out of office assistant helps keep people updated with your status if you need to alert them. We can add or remove users as needed as your needs change. Spam is dramatically reduced through our state-of-the-art anti-spam blocking solution. Email is scanned for virus threats. No in-house server or licenses to maintain, manage, update or replace. Ever. You get meeting and project accept/reject features. New items can be added to shared calendars and you can invite others to agree to the time, suggest a new time, or reject the time. You get an email response when people accept your times and dates (or they can suggest alternate ones). All of this is updated on the shared group calendars in real time so everyone can see it. You can have as many group calendars as you like covering various projects as well as a combined calendar that shows the overlaps of various projects. The calendars can even be printed for added convenience. Customers you work with who have Exchange can accept your email invitations or date acceptance and it will mark your calendar, a shared calendar and their calendar. This is very powerful when trying to plan conference calls or schedule projects. As items are put on the calendar you can get a notification. This also works for changes. This is very powerful and keeps an error from happening if someone accidentally moves something. You can also restrict what people can do with the calendars. You will have access to all email, calendars, contacts, etc. from anywhere you have an internet connection, anywhere in the world. Any changes you make or emails you send are automatically updated so when you get back to the office there is nothing to change. It is already done. When you send email from Outlook Web , it is exactly like sending it from your computer. You will see your Outlook screen. This is one of the most powerful and useful features of Exchange. You can delegate control of calendars, contacts or email to others. They can reply for you, make changes on shared or personal calendars or contacts if you allow it. Real Time integration with smartphones running Windows ActiveSync. This allows you to have your email, contacts and calendar in real time on your smartphone. All Exchange updates are automatically installed with minimal or no interaction by the users required. With TUSCOM Hosted Exchange, communications and planning are streamlined, maximizing interoffice efficiency while reducing costs and eliminating system maintenance. Contact us to learn more today. Finally, a way to eliminate tape backup systems forever. Our Hosted Backup solution offers the unique capability of replacing your backup system entirely and storing all your data on our secure server. Is completely over the internet. Is stored on our highly redundant enterprise level, private cloud solution. Removes the need for backup drives. Any existing backup drives will be turned off, which means no more having to swap drives. Doesn’t require you to manage the backup solution, monitor it, or keep it updated. The management, monitoring and support is completely provided by TUSCOM. Allows backups as often as every 15 minutes if bandwidth is available. SQL and Exchange are backed up live. 10 days or more of data is retained, based on your requirements. Data is highly encrypted for transport over Internet. In the event of a crash, a server can be restored to different hardware without compatibility issues. There are no third-party vendors to deal with. 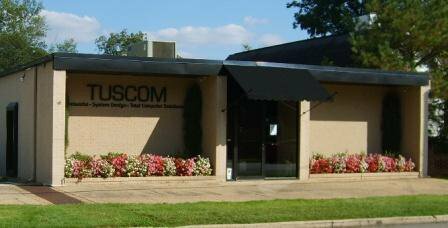 TUSCOM is providing the entire solution, end to end, with our licensed technology. This solution is hands down the most ingenious backup platform available today. It is solid, tested and proven. Eliminate the worry of backing up systems, managing and updating software, dealing with troublesome backup solutions. Plus your data is safe and in the hands of people you trust. Get peace of mind. Contact us for more information about applying these solutions to your business today.